iPhone's Touch ScreenOne way to help clarify your personal brand values as a luxury real estate marketing professional is to clearly define your own preferences as a consumer. Here is an example of how you can put this into practice. Have you noticed lately how many companies are gunning for Apple’s iPhone to compete for the coveted smart phone market? The iPhone with its elegant touch screen is way cool. But, is it for everyone? 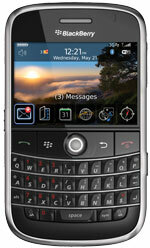 Just in case you do not already know, a smart phone sends and receives email, text messages and instant messages. It has a web browser and can do many things your desk top computer can do via various “applications”. Some applications are for business and others just for fun. For example, you can store photos, take photos, listen to music and watch videos. It knows where you are via a GPS system, so it can show you how to get from where you are to where you want to go as if you are using a similar system in your car. I found it difficult to type messages on a flat surface and that was my biggest issue with the iPhone. I often typed a key that was next to the one I wanted, e.g., an N instead of an M. Being able to type a quick email response while on the go is my personal priority in terms of functionality. So, I looked for a smart phone with a great keyboard. Blackberry BoldI discovered the top of the line Blackberry Bold that has a smaller screen than the iPhone but equally vivid. It is non-touch screen, but it has many of the same type of toys as the iPhone. Plus, it has a keyboard with contoured keys that clicks like the driver’s door when it closes on a fine Mercedes Benz. Now, that got my attention! Take the time to think through your own buying decisions. What attracts you to certain products and not others? That will help you define your personal brand values. This is part of an ongoing series about luxury real estate personal branding. Get Fluent. Get Affluent! Subscribe to The Language of Luxury by Email or RSS Feed. Comments? Please use form in left column.